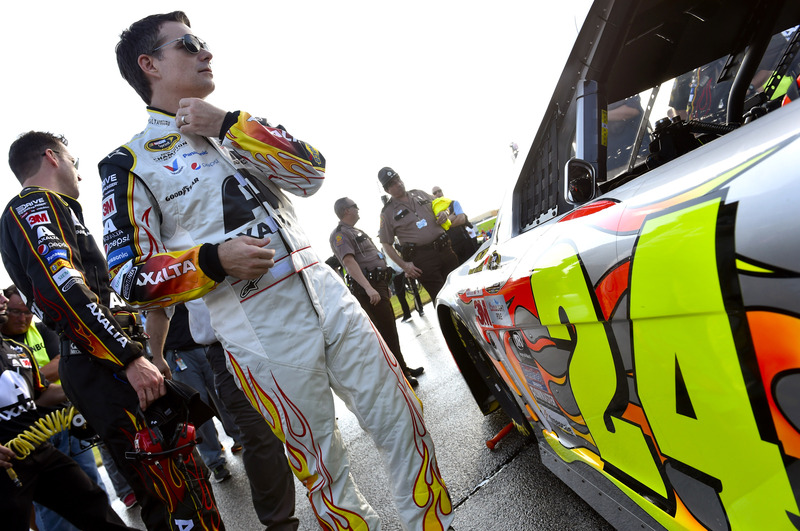 On November 22 at Homestead-Miami Speedway Jeff Gordon stepped out of a race car for the last time. Now beginning a new career as a commentator for Fox Sports’ NASCAR TV shows, he can reflect on a truly remarkable career and a legacy as an urbane, thoroughly modern man who redefined the image of NASCAR. 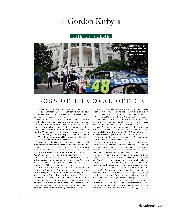 Gordon’s success in NASCAR through the 1990s reshaped the traditional view of American stock car racing as a place where older, more experienced drivers from The South ruled the roost. Over four years from 1995-98 Californian Gordon won three championships and established a new order as he defeated traditional stars such as Dale Earnhardt, Mark Martin, Rusty Wallace and Dale Jarrett. 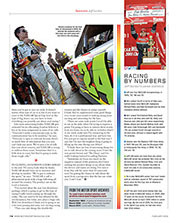 Gordon’s rapid emergence as the new face of NASCAR created a revolution, providing younger drivers from other forms of racing across the United States with the opportunity to break through. Gordon came to be defined as the bridge linking the likes of Richard Petty, David Pearson, Cale Yarborough, Bobby Allison and Earnhardt to today’s stars such as Jimmie Johnson, Kevin Harvick, Kyle Busch, Joey Logano and Brad Keselowski. Born in Vallejo, California, Jeff started racing quarter midgets when he was five. In his first year he won 35 races. Two years later it was 51. Moving to karts aged 11 he won all 25 of the races he started. and sprint car racing. In 1990 Jeff won the first of two successive USAC midget and Silver Crown championships. At a CART race in 1990 Jeff had “A key moment. I heard from CART team owners that they weren’t looking to guys who were racing on dirt track ovals to make it in Indycars. After he was spurned by CART’s team owners Gordon moved to NASCAR, making his stock car debut in 1990 at the North Carolina Motor Speedway, but crashing early in the race. A year on he was racing full-time in the second-division Busch series, driving Fords for Bill Davis’s team. 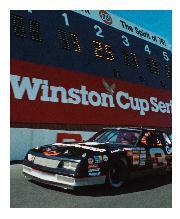 He was rookie of the year in ’91 and in ’92 took 11 poles and won three races. Signed up by Rick Hendrick, Gordon made his top-line NASCAR debut in the 1992 season-closing race at Atlanta, classified 31st after a crash. It was also the last race of Richard Petty’s long career, a serendipitous over-lapping of two of NASCAR’s greatest drivers from distinctly different eras. The following year Gordon began competing full-time in what was then the Winston Cup series, opening the season with a win at Daytona, taking his first Cup pole at Charlotte and scoring another rookie award. Gordon’s first championship came in ’95 after seven wins, and over the next three years he really made his mark, winning no fewer than 33 races and adding two more championships to his record. 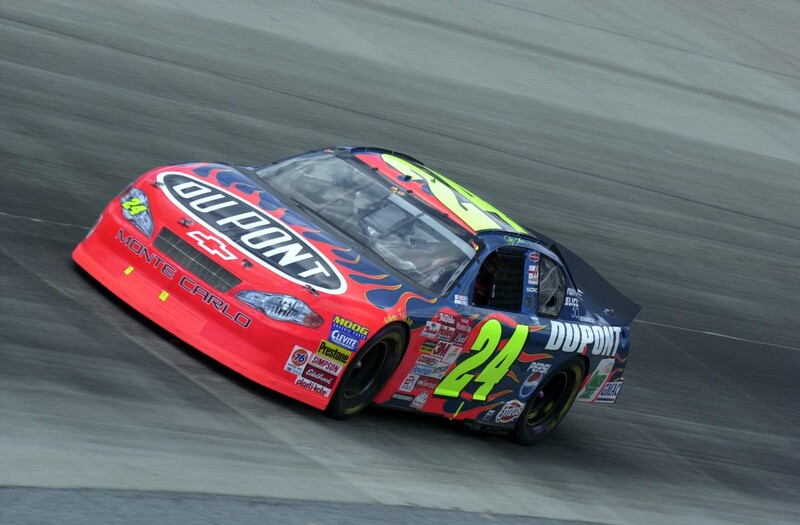 As the sport boomed Jeff Gordon became the modern face of NASCAR. “I’ve always maintained that I came along at a good time,” Jeff says. “NASCAR was really starting to take off and I was fortunate to align myself with some good people who put me in good race cars. I had a lot to learn to run a bigger, heavier car and drive it for a long period of time. Pitstops were also new to me. I had never even driven a racing car that had a clutch in it! “It was something fresh and new and different. And it had been a long time since someone with my background in midgets, sprint cars and dirt tracks was given a chance in NASCAR by a big team like Rick Hendrick’s. Gordon looks back with pride on his rivalry with Dale Earnhardt, who’s gone down in history as NASCAR’s all-time classic driver. “It was one of the best things that happened to me,” Jeff says. 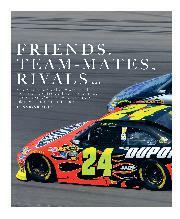 “I went wheel to wheel with Dale and beat him and nobody else was doing that at the time. It sent a message to Rick and everyone else. Jeff went on to win a fourth NASCAR championship with Hendrick’s multi-car Chevrolet team in 2001. 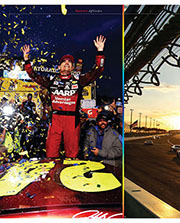 Last year, at 43, he won four races and with 92 Sprint Cup wins over 23 seasons he’s ranked third on NASCAR’s all-time winners list behind only Richard Petty and David Pearson. In 2015, he went to the Homestead finale with a title shot, but took sixth place in the race and wound up third in the standings. After Jeff won his fourth championship in 2001 Rick Hendrick offered him an ownership interest in the team. A year or two later Gordon watched a young rookie named Jimmie Johnson test at Darlington and was so impressed he quickly convinced Hendrick to hire him. These days Jeff co-owns six-time champion Johnson’s car and holds an equity stake in his own operation. Hendrick also runs cars for Dale Earnhardt Jr and Kasey Kahne, employing more than 500 people at the giant Hendrick Motorsports operation in North Carolina. Jeff, his wife Ingrid Vandebosch and their two young children live primarily in Charlotte but have spent plenty of time in Manhattan over the past 10 years, recently moving from a $30 million apartment on Central Park’s Upper West side to a less expensive but cosier location in Madison Square Park. At Indianapolis in 2002 Gordon traded his NASCAR Chevrolet for a few laps in Juan Pablo Montoya’s Formula 1 Williams-BMW. “It was the most incredible experience I ever had,” Jeff says. 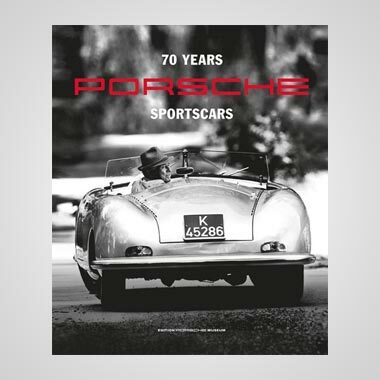 “The physical side of those cars is much more demanding. You have to be in incredible physical shape because the car has so much grip it’s capable of doing more than the body can handle. 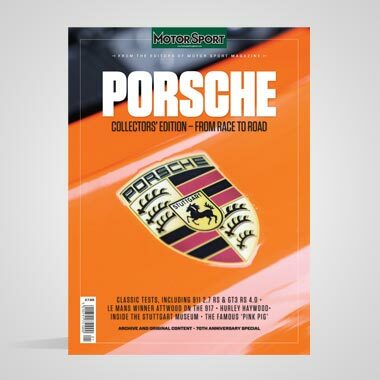 “An F1 chassis is the ultimate, and that one did everything you want a car to do. It stopped and turned better than I could imagine, it had more grip than I could ever imagine and accelerated better than I could have imagined. So in a lot of ways it was one of the easier cars I’ve driven. 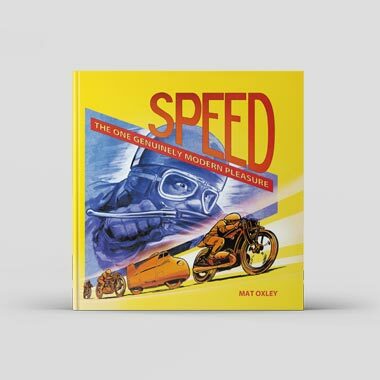 But to go fast, to compete on that level, how hard you would have to push yourself and your car to find that last second or two… it would be very challenging. But it was an awesome experience, one I’ll never forget. “But I still say that of all the cars I’ve driven over the years a non-wing sprint car would be number one. A stock car would be number two and I would put the F1 car from a difficulty standpoint further down the list. But on a fun level the F1 car is at the top by a mile. In closing, as Gordon looks ahead to his new TV career, I ask what he thinks NASCAR should focus on to maintain and develop its market. “We’ve got to embrace the sport,” he says. 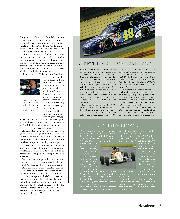 “NASCAR is still a phenomenal sport with a huge following all around the country. The product out on the track is fantastic. “I’m excited about the new low-downforce package, which is going to get us the type of racing I really loved coming up through the ranks. The cars used to be less affected by the aerodynamics, but today aero plays a huge role. With low downforce I think you’re going to see a lot more passing and some very exciting racing. 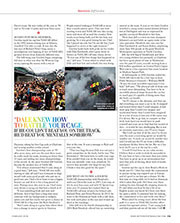 “Then you take things like double-file restarts and the chance to unlap yourself. I think they’ve implemented some good things over recent years aimed at making racing more exciting and interesting for the fans. “There are some rude words I won’t be able to use at the mike when I’m trying to express a point. I’m going to have to remove those words from my brain, try to be able to verbalise what’s in my mind, make sure I’m connecting to the fans, do it in a professional way and have fun. I’ve just got to express myself in the best way I can, but I’m sure the toughest thing is going to filling up the time during rain delays! “I think there are lots of interesting things for me to talk about in the coming years. I love the new points format and ‘The Chase’ and I’m really looking forward to calling Daytona. 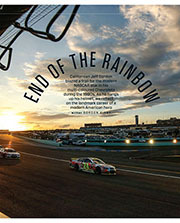 Jeff won four NASCAR championships, in 1995, ’97, ’98 and ’01. He’s ranked fourth in terms of titles won, behind seven-time NASCAR champions Richard Petty and Dale Earnhardt and six-time champion Jimmie Johnson. He’s ranked third behind Petty and David Pearson in all-time wins with 92. Petty and Pearson won 200 and 105 races respectively. Bobby Allison and Darrell Waltrip (both with 84 wins), Cale Yarborough (83) and Earnhardt (76) are ranked fourth through seventh in all-time wins. Johnson is ranked eighth with 75 victories. Gordon won the Daytona 500 three times, in 1997, ’98 and ’05, and the Brickyard 400 at Indianapolis five times, in 1994, ’97, ’01, ’04 and ’14. Jeff’s 80 poles are more than any active NASCAR driver has achieved. He’s third on the all-time list behind Richard Petty (123) and David Pearson (113). Gordon recorded at least one pole in 23 consecutive seasons, a NASCAR record. He is also NASCAR’s active ‘iron man’ leader with an unbroken record of 797 consecutive starts since his first Cup race at Atlanta in November 1992. Jeff has won more prize money than any other driver in NASCAR history. In 2009, after 17 years on the circuit, he became the first NASCAR driver to reach $100 million in career earnings. By the end of 2015, his 23rd year in the Sprint Cup series, he had won more than $150 million.